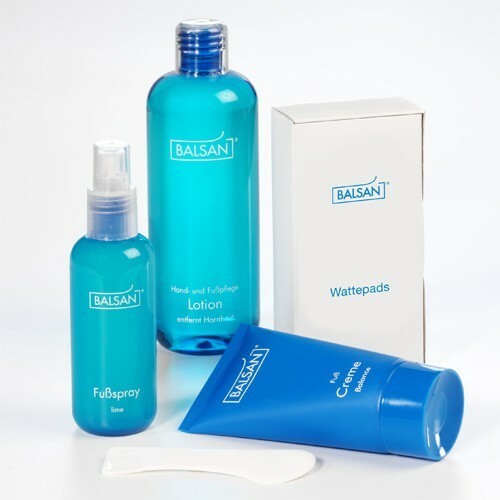 You will get everything in this set that you require for good foot care. The callus remover was further developed, in order to enable every health conscious person quick and gentle foot care. The recipe was refined by adding salt from dead sea, Marigold extracts and vegetable glycerine. This care material prevents the drying of the skin. 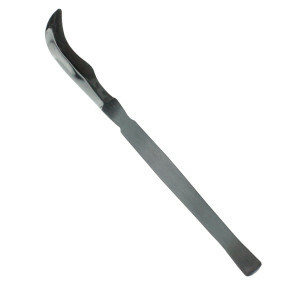 With this preparation you will stay away from rough handling with rasps or planes, thus you can prevent the risk of injury. 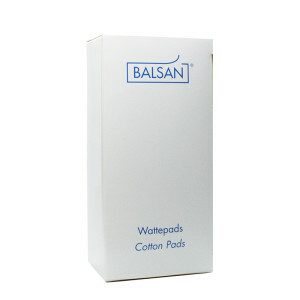 Most suitable for treatment accompanying care of diabetic feet! Dermatologically tested! 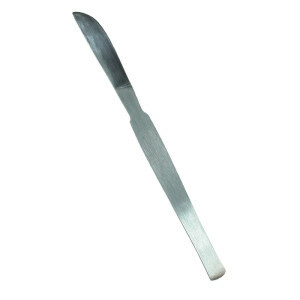 Used as cuticle remover, you will require only 1-3 Minutes in order to soften the cuticle. Then remove the cuticle with the cuticle slider or a soft nail brush. After the application of the lotion wash the treated skin with clear water and use the Cream Balance in order to achieve a long lasting result. Fix the moist cotton with a polythene foil on the treated place and thereby reduce the treatment period in case of severe calluses or thick callused skin. 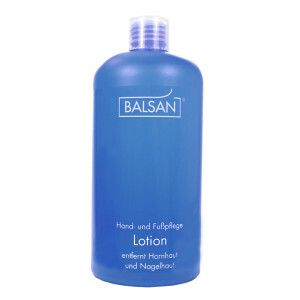 BALSAN Hand and foot care lotion 500 ml "New"
BALSAN Hand and foot care lotion 150 ml "New"